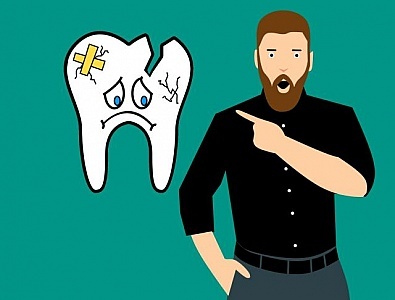 Illustration of amazed man with broken tooth. 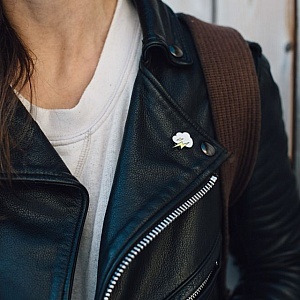 Ready for the dentist. 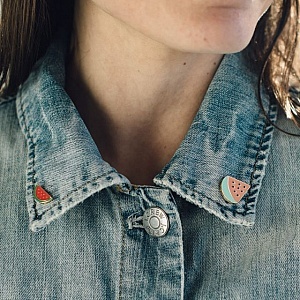 Watermelon fruit pins on a woman s jean jacket. 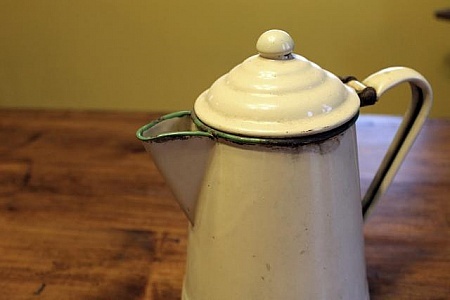 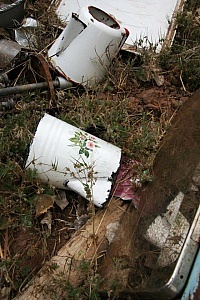 An antique tea kettle on a wooden table.